Chobani releases limited batch Spooky Vanilla Pouch in celebration of Halloween. Embracing the spirit of Halloween, Chobani releases its latest limited batch product as a spooky take on a classic favourite. Only one batch of the ghoulishly good Spooky Vanilla Pouch was produced, and is available exclusively at Coles stores across Australia, until stock lasts. Spooky Pouch is the third celebratory limited batch product Chobani has created and Managing Director Chobani Australia, Peter Meek, says the yogurt brand has no plans on stopping. "Whilst a lot of work and effort goes in to creating such a short-lived product, and it may not make sense to other businesses, it does to us because it means we can continue to engage, excite and celebrate special occasions with our fans through yogurt. It's something different and memorable we can bring to the category." Chobani is one of the only yogurt brands in the category who create these bespoke limited batch products . This time around, Chobani has furthered innovation through standout packaging design. Meek explains, "Our limited batch vision is a standout in the yogurt category, so it is only right that we have stand out designs to match." Chobani engaged with packaging design agency, The Key Branding bring to life a bespoke ghost pouch and scary good shippers that catch eyes at the shelf. The Spooky Vanilla shippers feature a skeleton hand that demonstrates to merchandisers the correct way to open the carton, a feature not seen to many but made to put a smile on the few who interact with it. The launch of Chobani Spooky Vanilla Pouch is supported by marketing activity across social media: #ScaryGood. 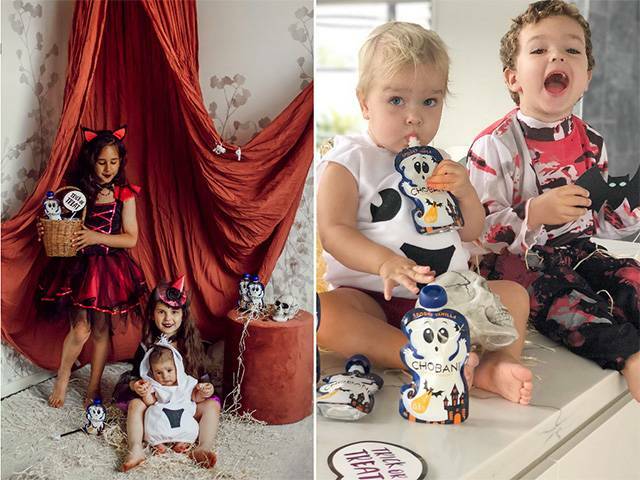 Chobani has partnered with social media influencers who are getting into the spirit by dressing up their little monsters and sharing with their fans whether they think Chobani's Spooky Pouches are a trick or treat. sharing. Fans can also get in on the action by sharing their spooky Halloween dress-ups across the brands Facebook page to have the chance to win a supply of Spooky Vanilla Pouch just in time for Halloween. The Chobani Spooky Vanilla Pouches are available at Coles for a limited time. Hurry before they fly off shelves.